Singing and Spinning: Thank You Sharline!!! 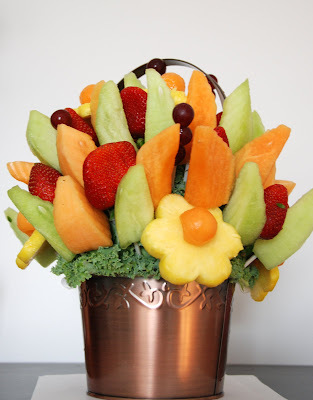 Have you heard of "Edible Arrangements"? They are awesome, beautiful, super fresh and yummy! Wow, it was an excellent get well delivery. Sharline is such a sweet sweet friend. When I think of someone that is thoughtful, I think of her. I told my girls that I hope they will be thoughtful like her. Thank you for the yummy treat and your friendship.